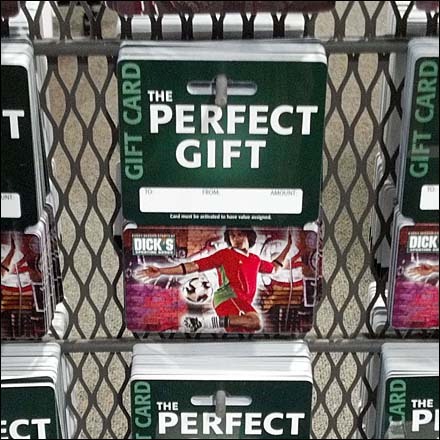 A stand constructed of expanded metal makes a unique vertical display surface for Gift Cards. Expanded metal having no standard hooks of its own, multi-hooks are welded to the surface. 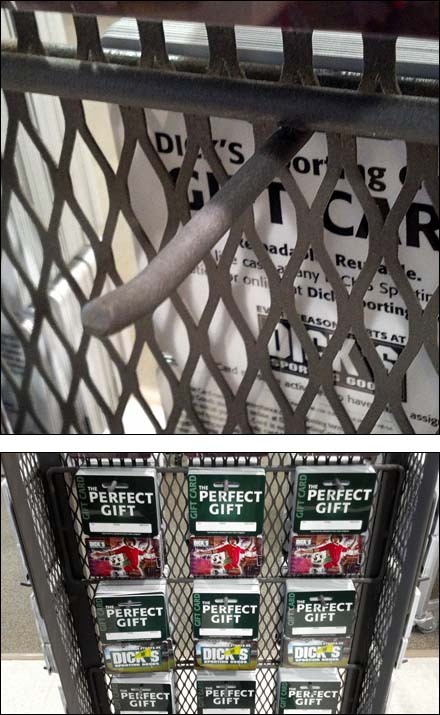 From a distance the close spacing of the Gift Cards and small openings of the expanded metal forestall any significant sight leak. See the Expanded Metal Display Surface thumbnail for both a closeup and long shot of the concept.